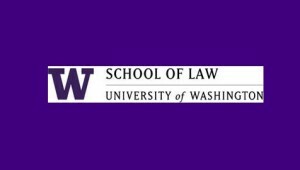 The University of Washington School of Law is hosting a new symposium on the arctic. Register here. Hosted at the French Senate at Luxembourg Palace and the French Military College, École Militaire, the Arctic Encounter will convene its first annual international symposia. This two-day debate-oriented conference will take place during the final days of the United Nations’ Convention on Climate Change, where participants and delegates will gather to deliberate the world’s response to our changing planet. On Friday, December 11th, the Arctic Encounter Paris (AEP) will host the first Model Arctic Council ever held outside of the Arctic. On Saturday, December 12th, the AEP will engage policy, industry and research leaders from Arctic and non-Arctic states during a full day of speaking panels and exciting debate. A cocktail reception will follow. Together, Kallander & Associates LLC and the French Polar Cluster, in partnership with the French Navy Center for Strategic Studies, will produce the 2015 AEP. We hope you will join us in Paris!